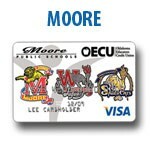 SUPPORT YOUR SCHOOL DISTRICT AND COMMUNITY WITH ONE CARD. 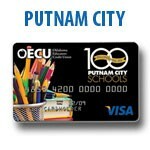 With a School Spirit Visa® Debit Card from Oklahoma Educators Credit Union, it’s easy for educators, parents, students and alumni to support their school district. 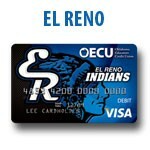 When you select a School Spirit Debit Card and swipe for a purchase, OECU gives a portion of the proceeds back to the respective school district. 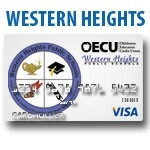 The School Spirit Debit Cards that are FREE with any Oklahoma Educators Credit Union checking account are: Western Heights Public Schools, Yukon Public Schools, Putnam City Public Schools, Mid-Del Public Schools, El Reno Public Schools, Moore Public Schools, and Norman Public Schools. 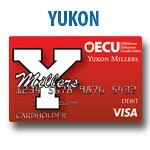 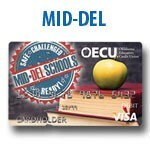 Download an OECU Debit Card App here.